The Peoples Democratic Party says the seven northern governors who endorsed President Muhammadu Buhari for a second term in office did it out of fear of losing their own re-election in 2019. 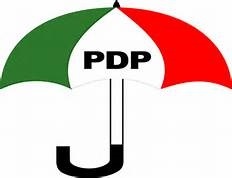 The Peoples Democratic Party( PDP) has berated some Northern governors for endorsing President Muhammadu Buhari for a second term. Seven governors from the zone elected under the platform of the All Progressives Congress (APC) had on Friday endorsed Buhari after meeting with him in Abuja. The governors are those from Kaduna, Yobe, Kogi, Niger, Plateau, Adamawa and Kano States. Addressing State House reporters after the meeting, Kaduna State Governor Nasir El-rufai said they had no apology meeting the President over the 2019 presidential election. El-Rufai said: “We are politicians and those of us you see here want the President to contest the 2019 election, we have no apologies for that. We believe in Mr. President we want him to continue running the country in the right direction. People can speculate about 2019 we have no apologies". In its reaction, PDP maintained that the governors’ visit was borne out of fear of losing their positions and not due to loyalty and love for Buhari. PDP via its official Twitter handle, said: “Fear of job loss grips @elrufai, others. “The visit of @Elrufai and six other governors of the @APCNigeria to @Mbuhari asking him to run for 2nd term is self-serving. “@Elrufai and his cohorts are scared stiff of the “looming disgrace” awaiting them at the 2019 polls, forgetting that President @Mbuhari himself will face an imminent and inevitable electoral defeat too, come 2019. “They are not driven by love for President @Mbuhari or patriotism. “They are struggling to save their imminent job loss. 2. ...forgetting that President @Mbuhari himself will face an imminent and inevitable electoral defeat too, come 2019. They are not driven by love for President @Mbuhari or patriotism. They are struggling to save their imminent job loss.